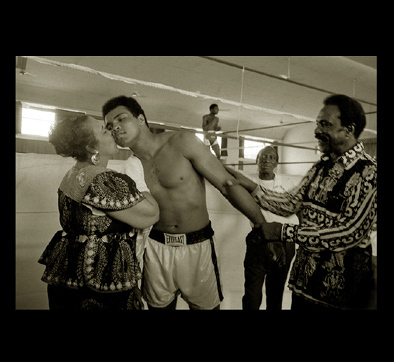 The Muhammad Ali Boxing Photography Folio, also known as the AliFolio, is a collection of photos taken of The Champ by Sonia Katchian. Knowing for his generosity and spirit with such phrases as Float like a Butterfly, Sting like a Bee, 'The Greatest' boxer of all time is captured with stunning realism by Sonia's lens. Be it in meditation, with political cause, or in training or triumph inside the Boxing Ring or out, Muhammad Ali shines in these rare photographs available as prints or bound in a stylish coffee table portfolio package.